This page features more Free Math Worksheets, along with an original cross-number puzzle. What a fun way to practice math! Answer keys are provided below. To practice multiplying numbers, just right click on any image and select a save option from your drop down menu. This will save the image to your picture file. From there you can reduce or enlarge it and adjust the margins as needed for best printed results. 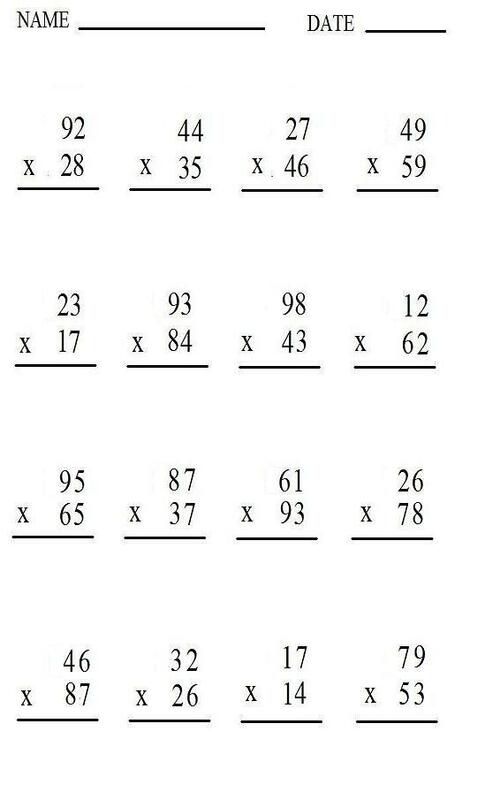 The Free Math Worksheets shown below feature double-digit multiplication. These problems are designed for a second or third grade skill level. Multiplication is the opposite of division. 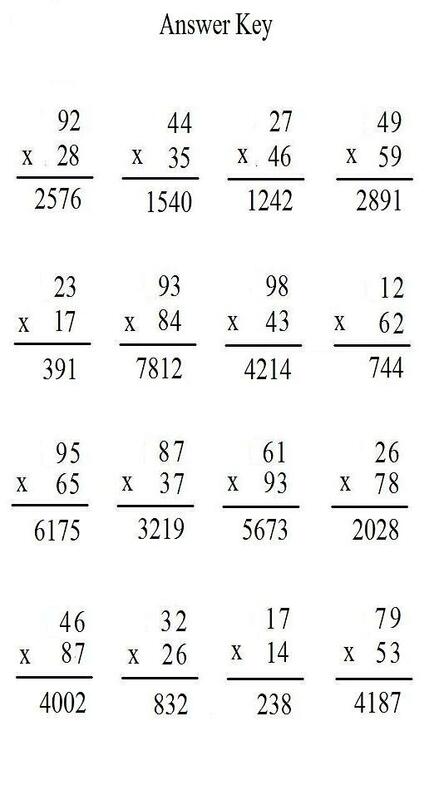 When dealing with whole numbers, multiplication is simply repeated addition. 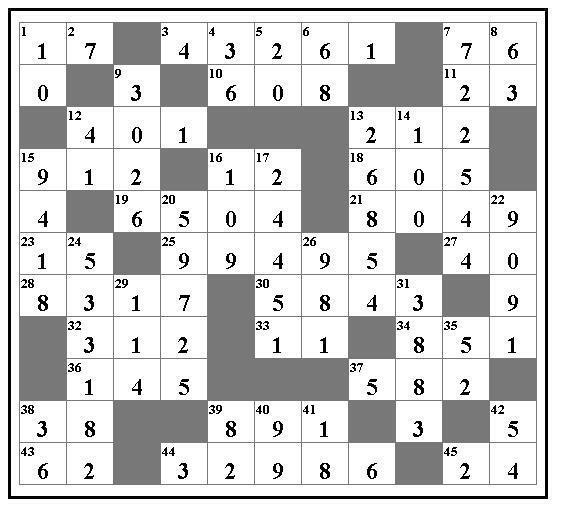 The cross-number puzzle shown below is solved in the same way as a crossword puzzle is solved. The squares are gray instead of black to save you money on printer cartridges. 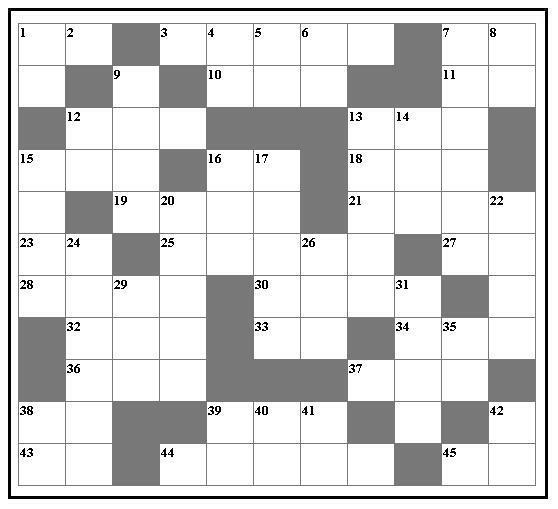 This puzzle can be used as a race game: The first person to correctly complete the puzzle wins. For more free math worksheets, use the search bar just underneath the page title above.